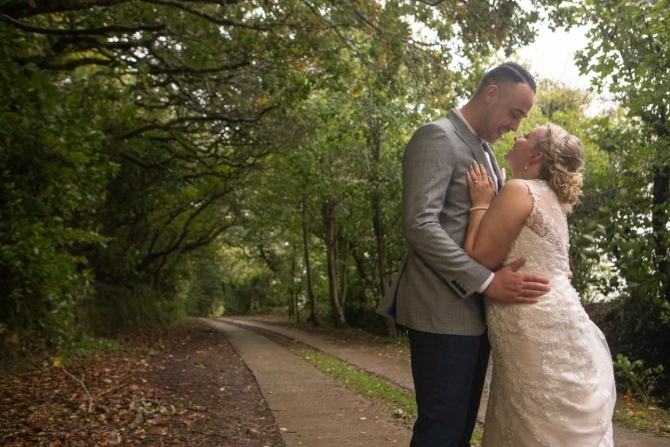 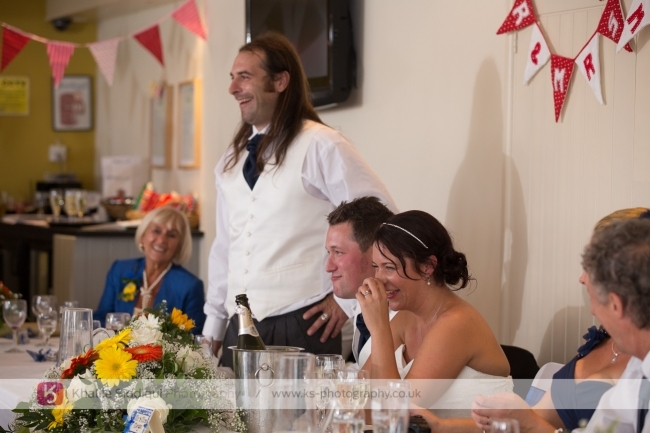 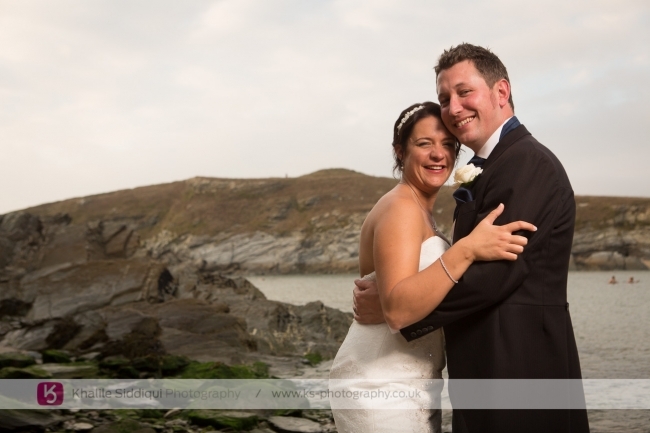 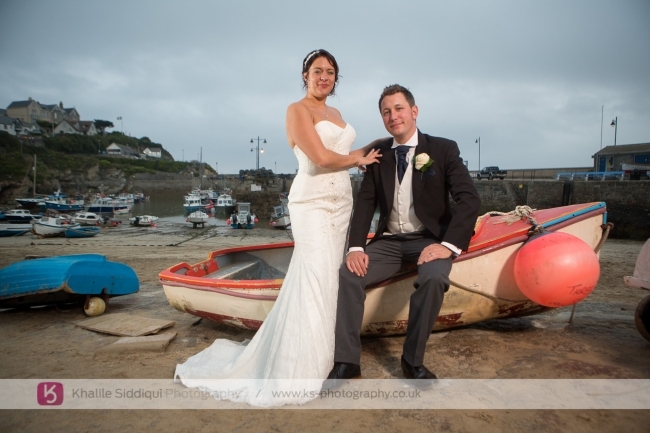 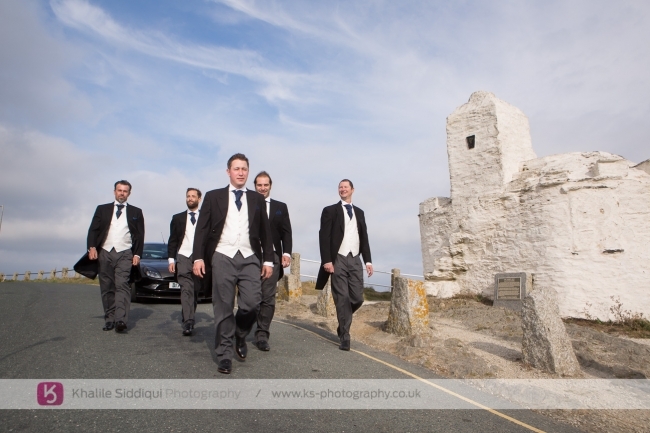 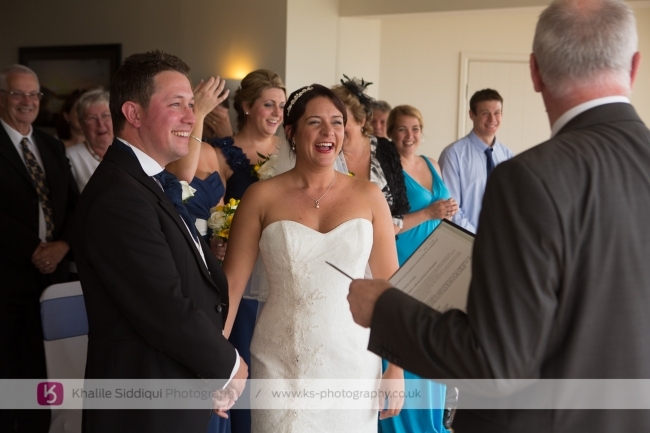 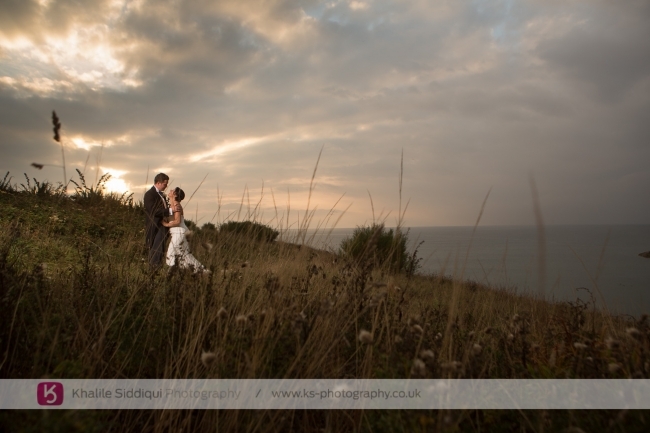 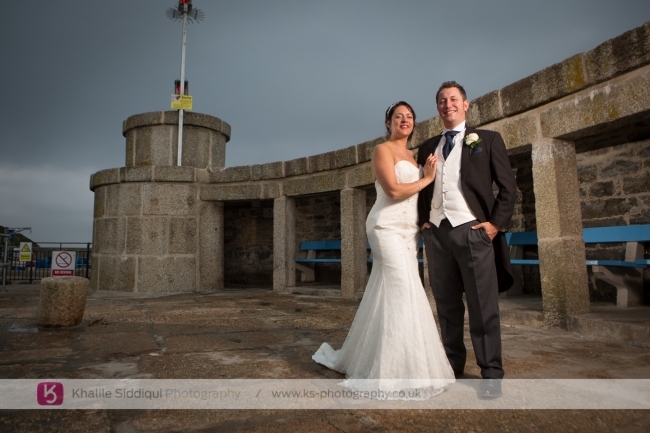 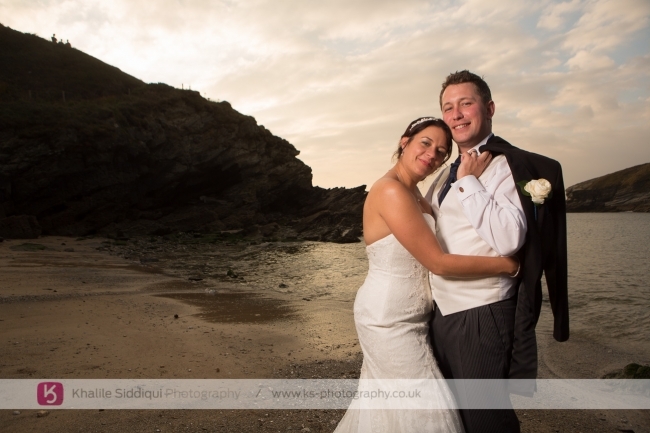 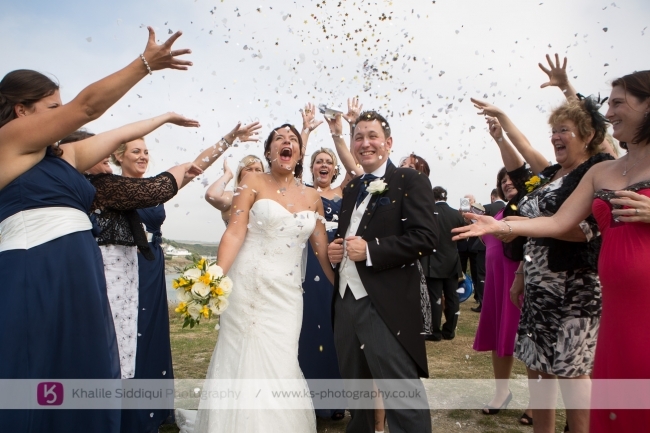 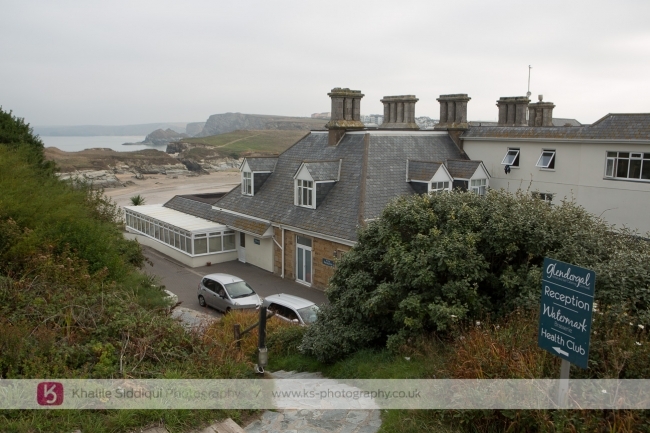 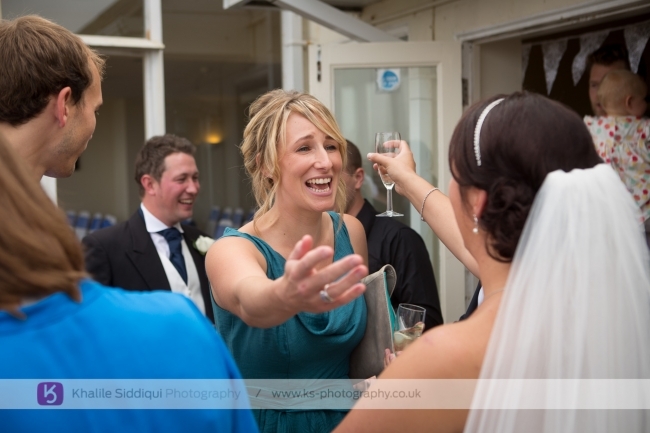 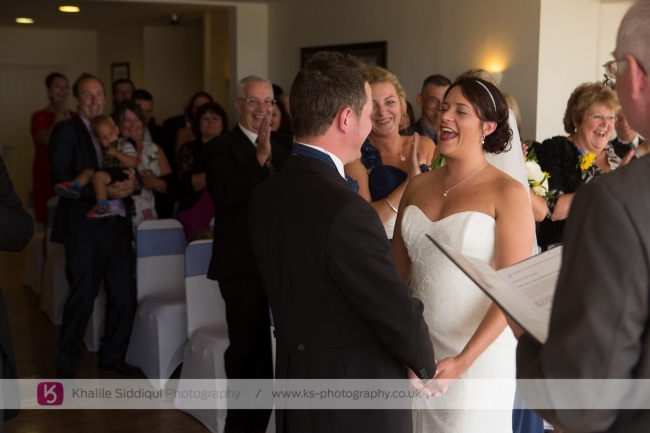 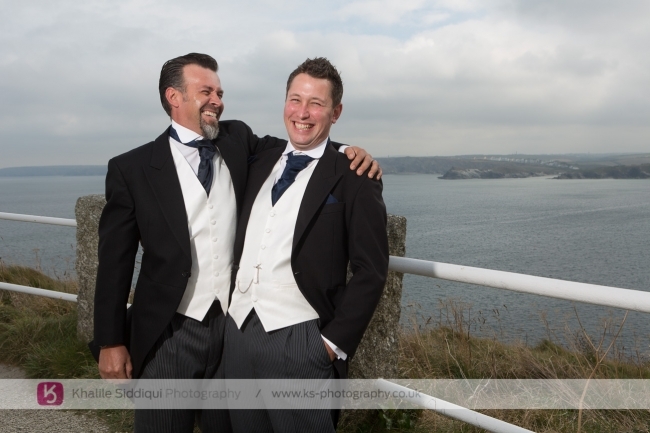 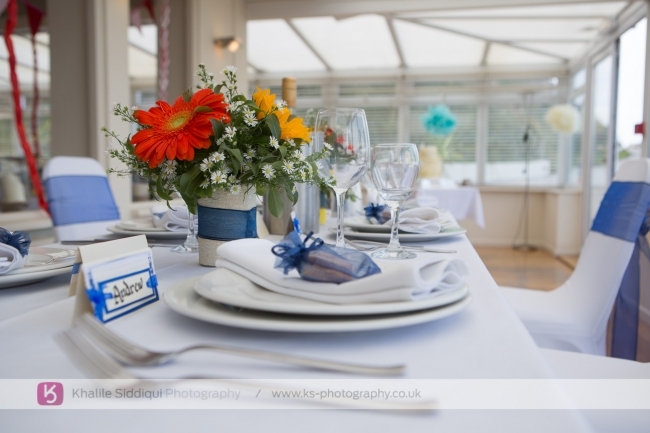 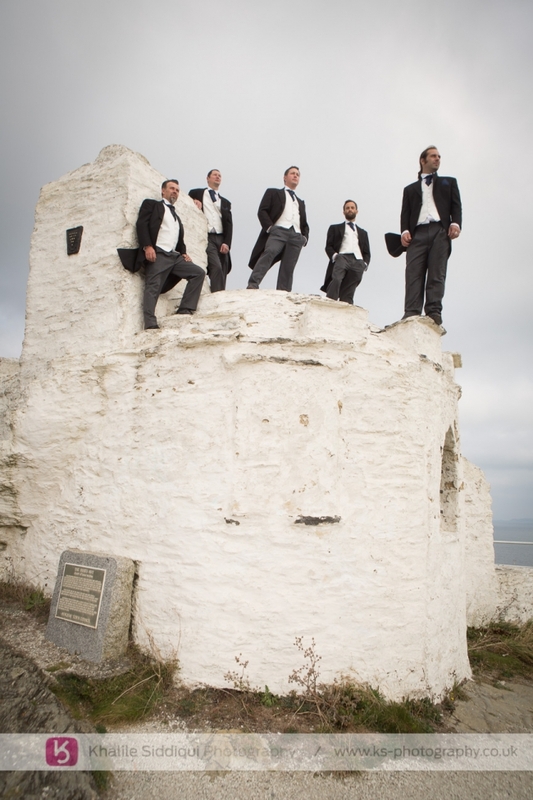 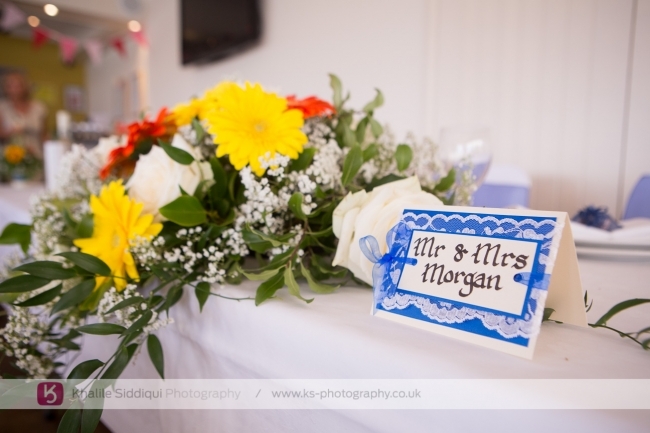 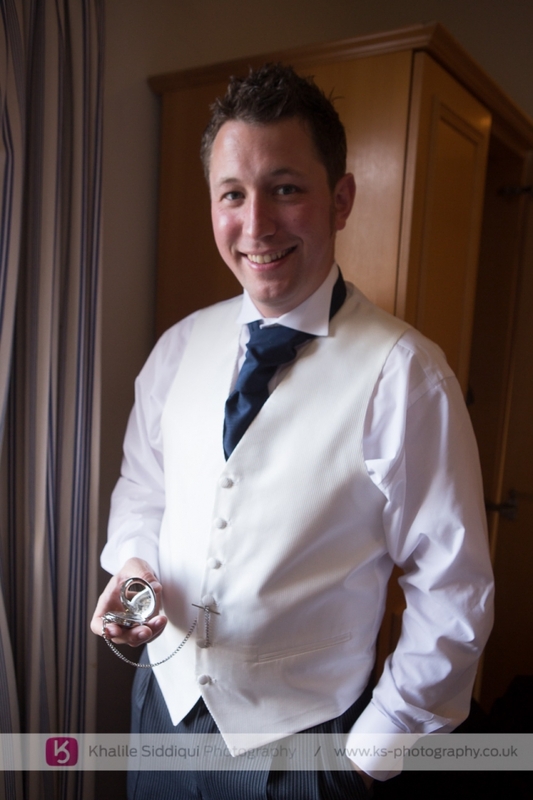 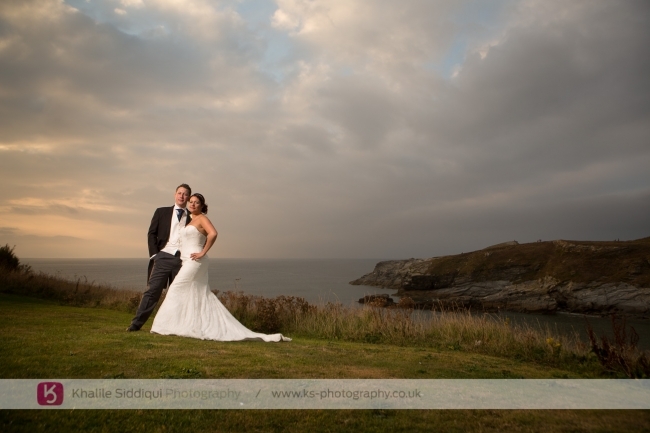 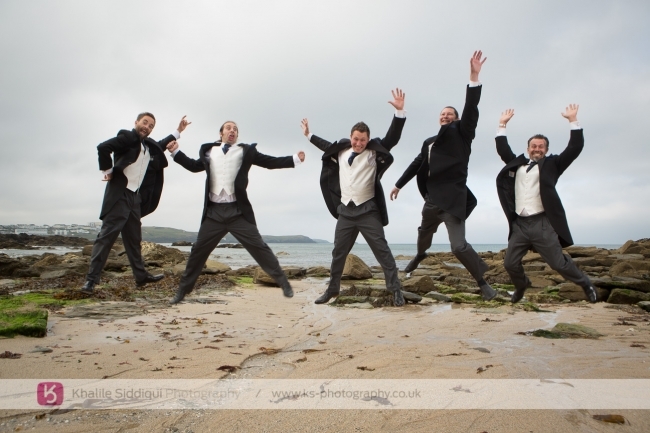 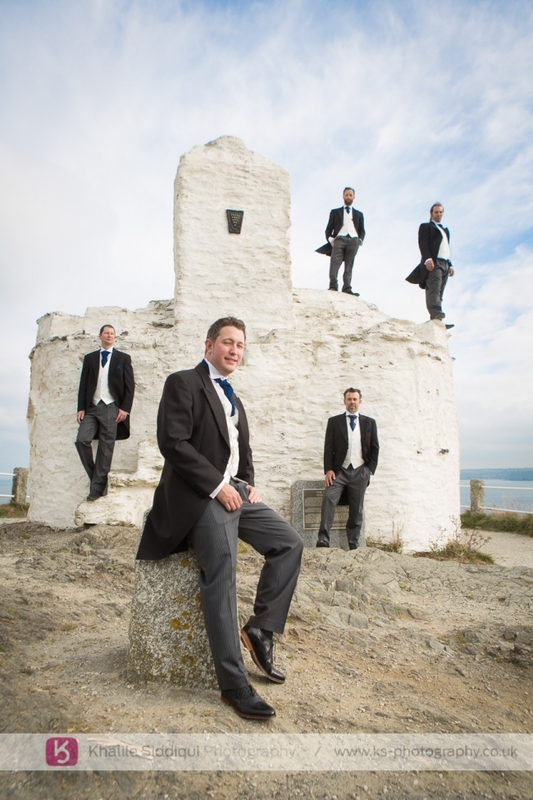 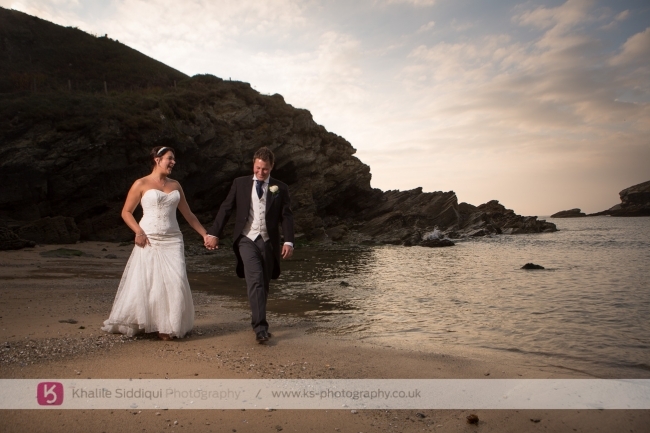 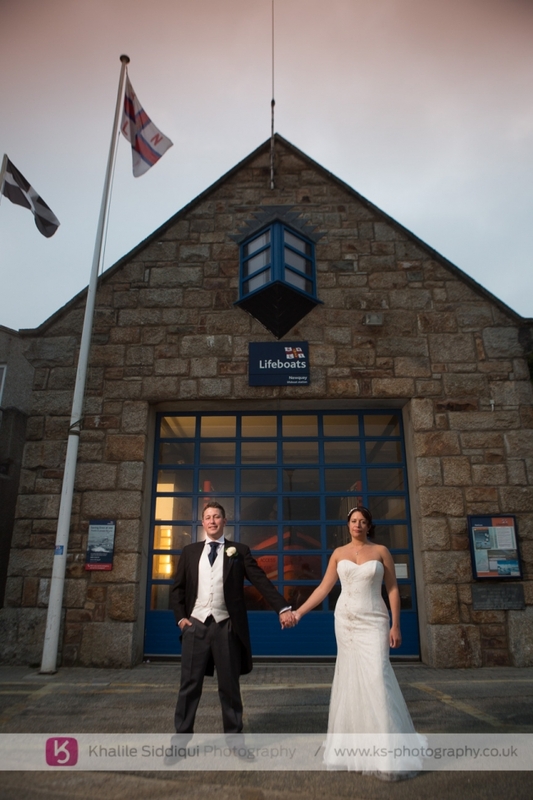 Katie and Sam booked us last year for their "Glendorgal Hotel" wedding in Newquay after receiving recommendations from former brides of ours, and other friends too. 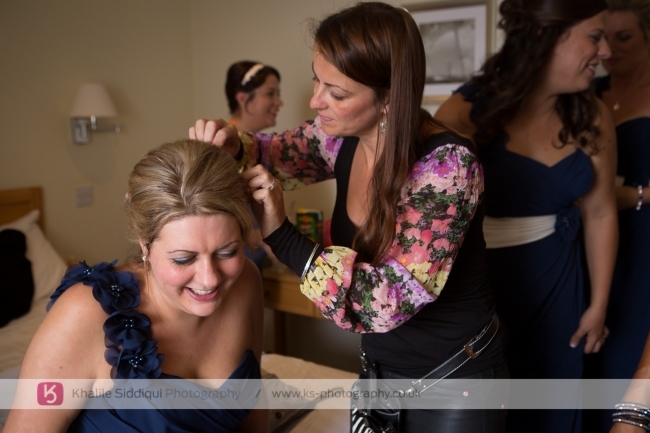 We always meet up with our couples prior to their weddings, but I have to say it was lovely to get to see so much of Katie prior to her wedding as she used "Tamsyn" not only for makeup on the day, but eye lash extensions, eye brow shaping and Sienna X spray tanning on the run up. 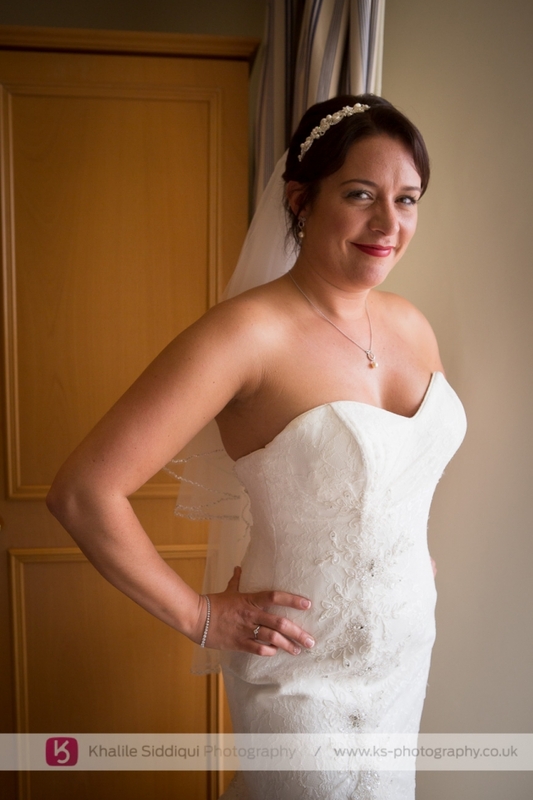 (Word of warning peeps, please don't use tan in a can for your wedding day, not only does it rub off, especially under the arms onto the dress, but it renders your skin with a green cast compared to everyone else). 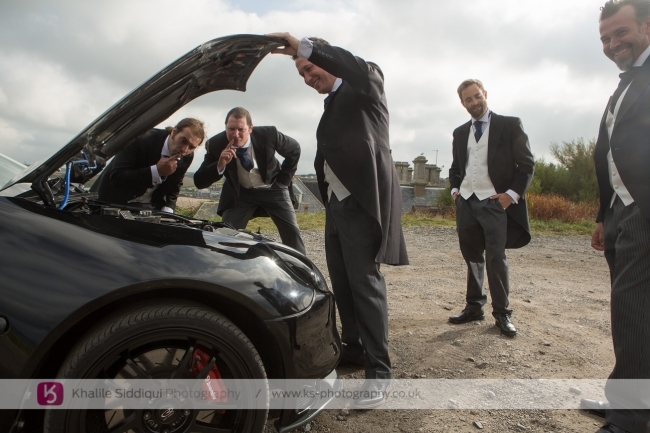 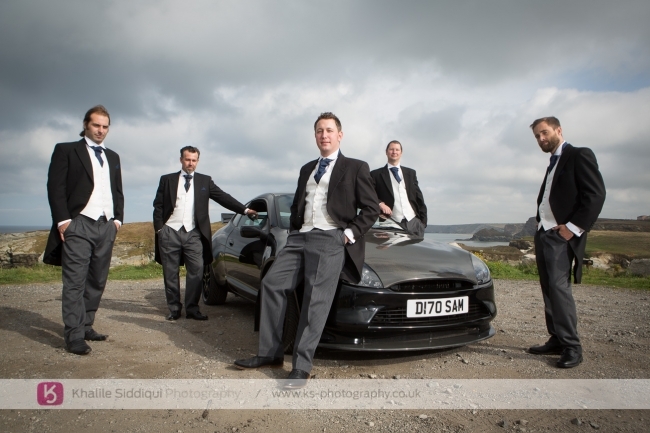 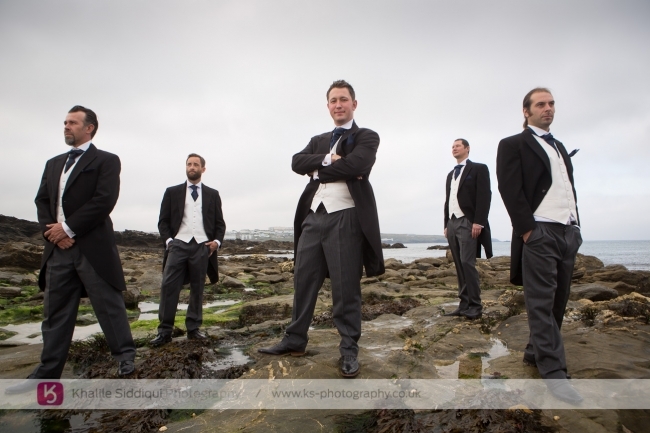 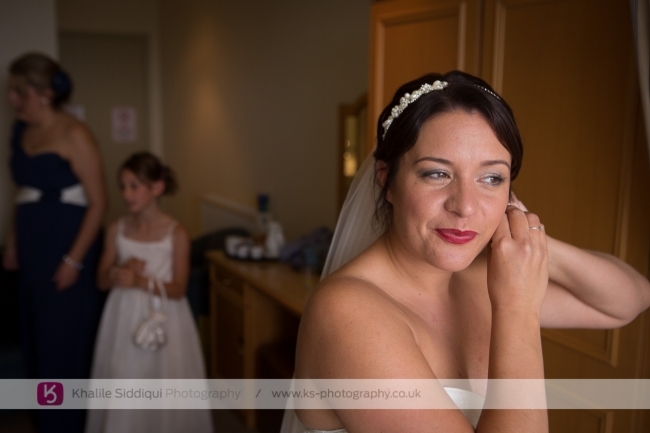 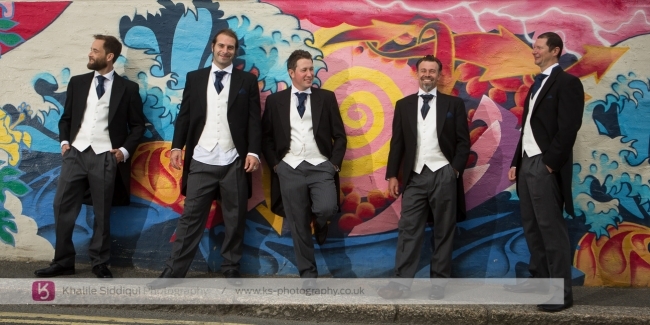 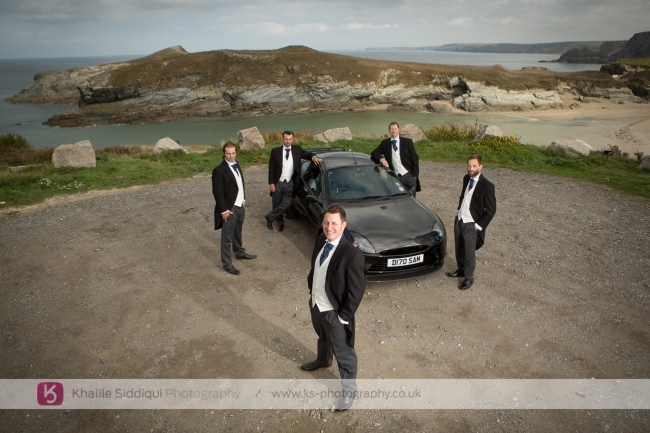 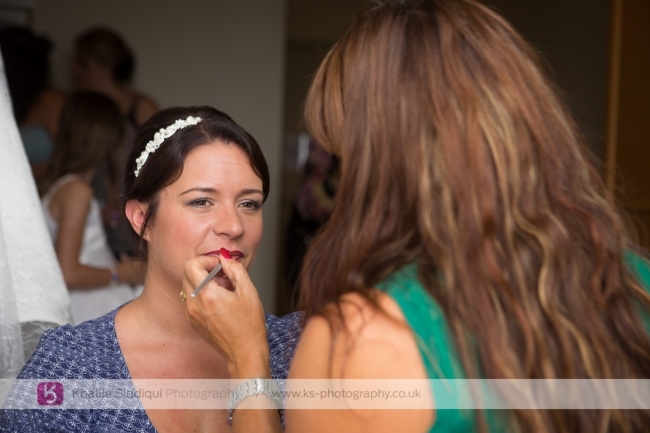 The whole day was set at Glendorgal Hotel so I dropped Tams off to meet with the ladies to get on with the makeup, while I met with the boys for some getting ready shots and playful poses around Newquay. 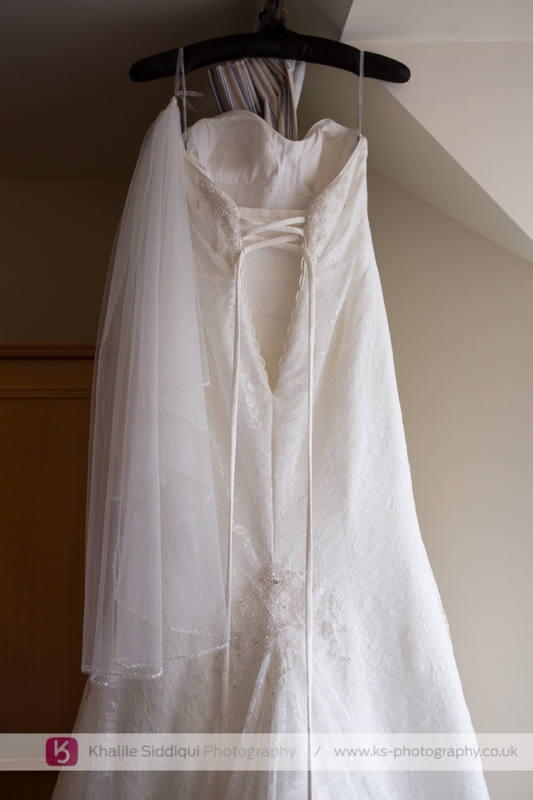 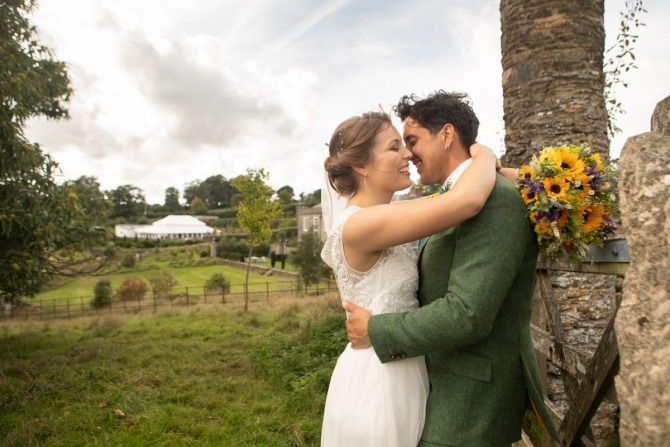 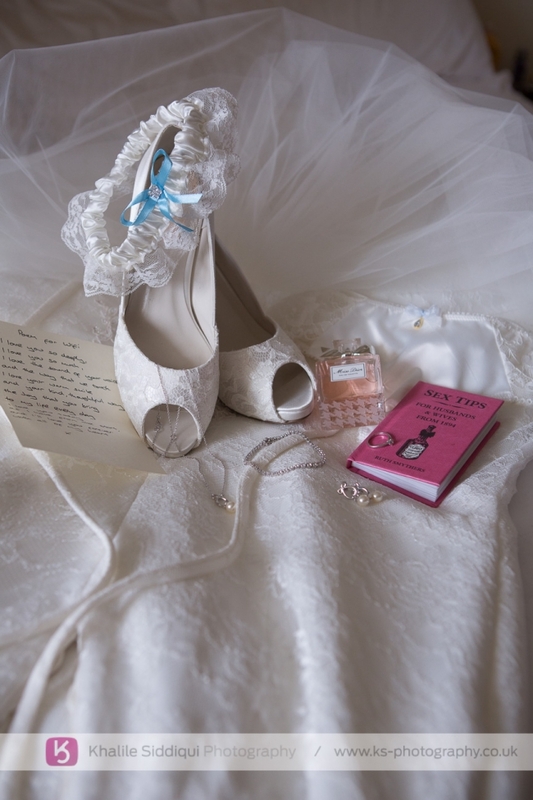 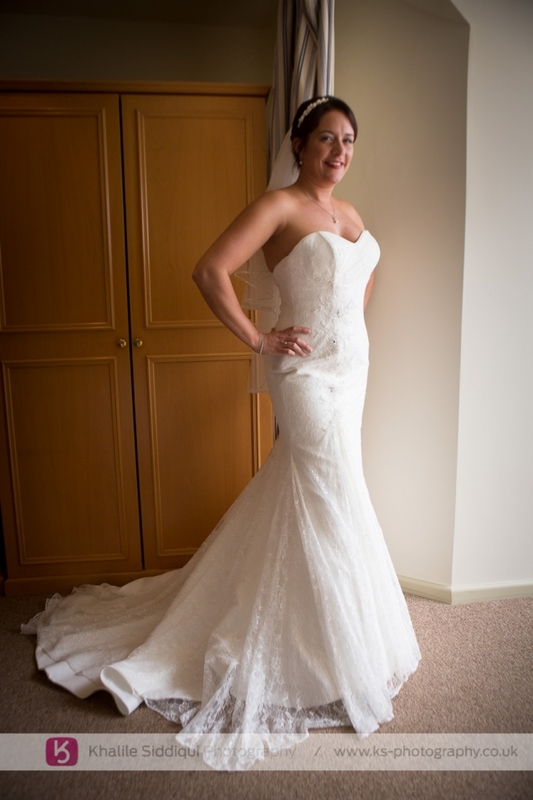 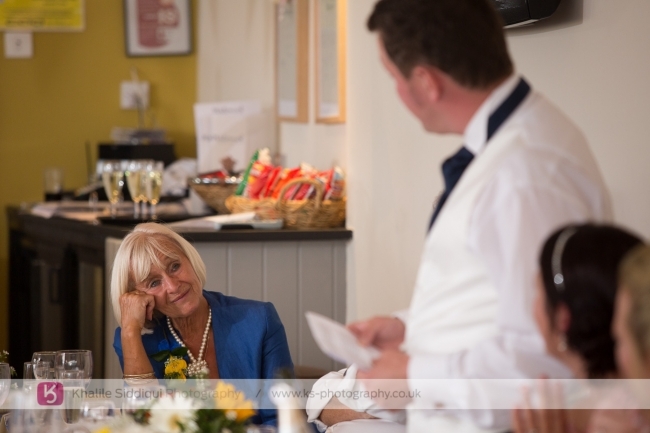 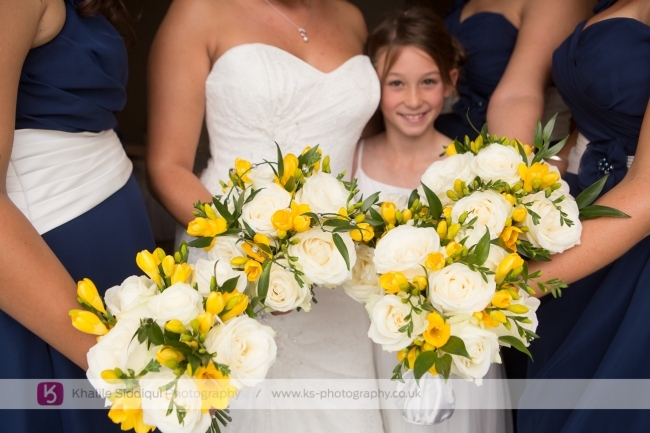 Katie bought her very elegant Maggie Sottero dress from 'Amanda K' in Truro, with her hair done by the lovely 'Rochelle Winter' and chose 'Floral Fancies' for her flowers. 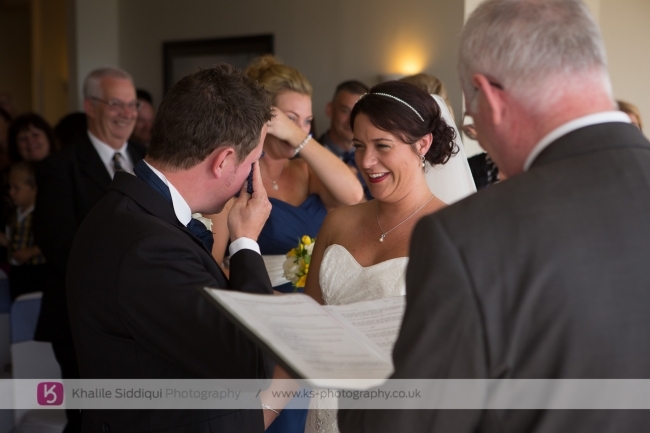 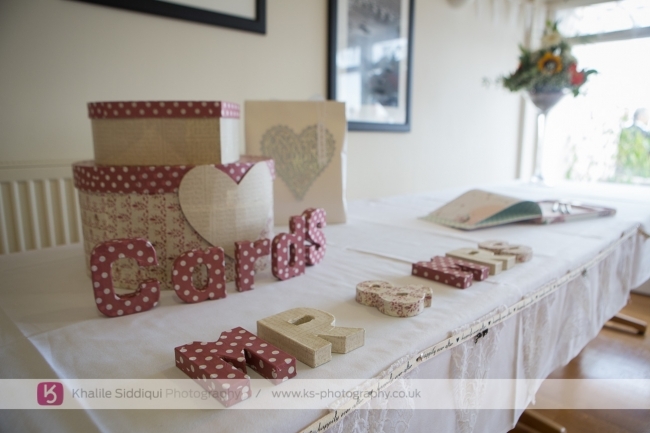 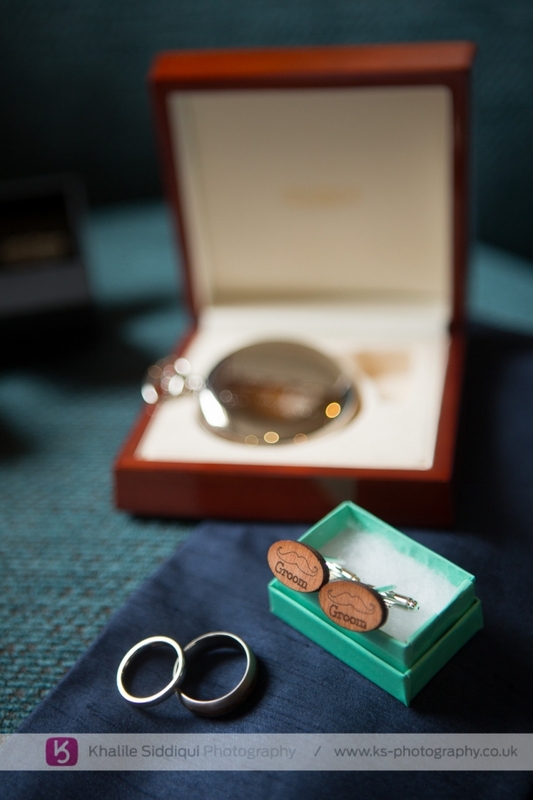 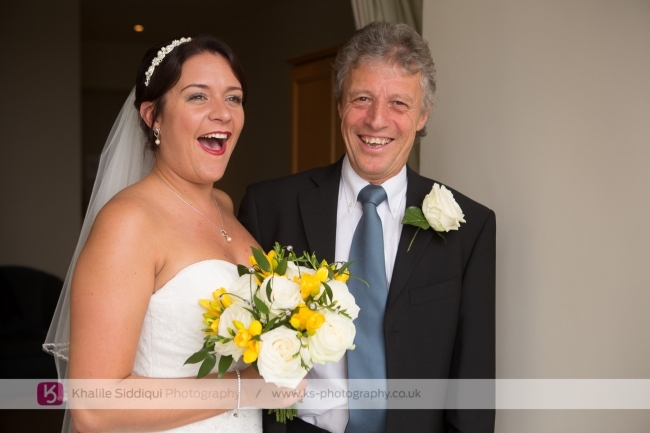 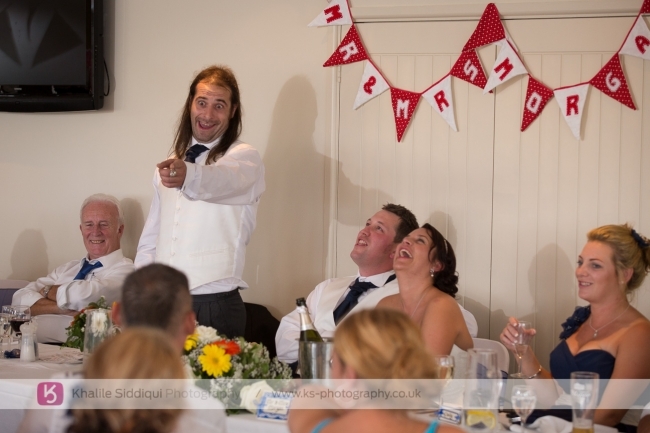 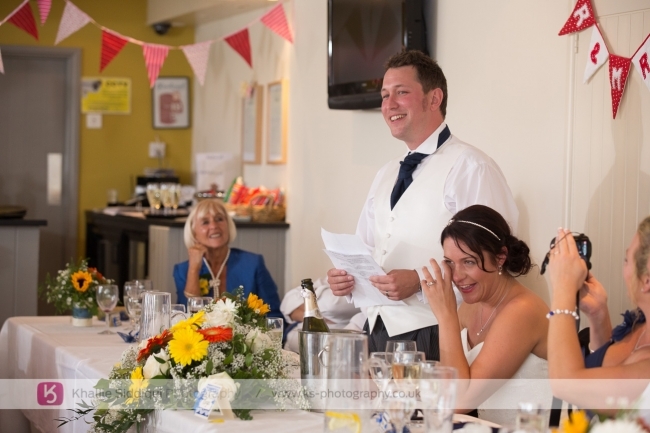 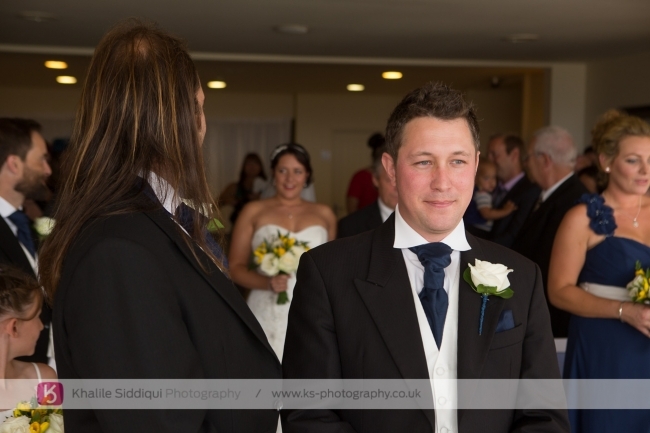 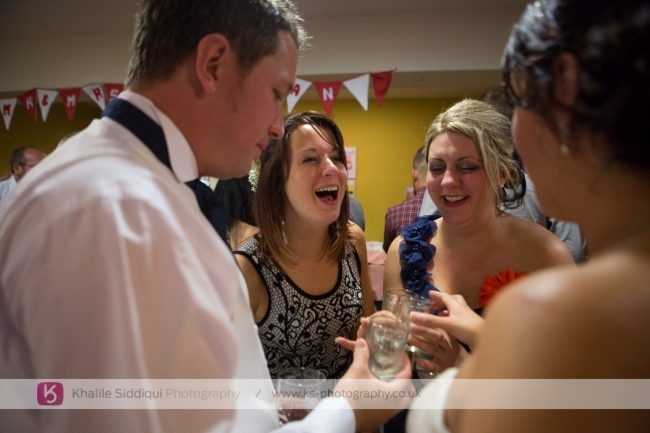 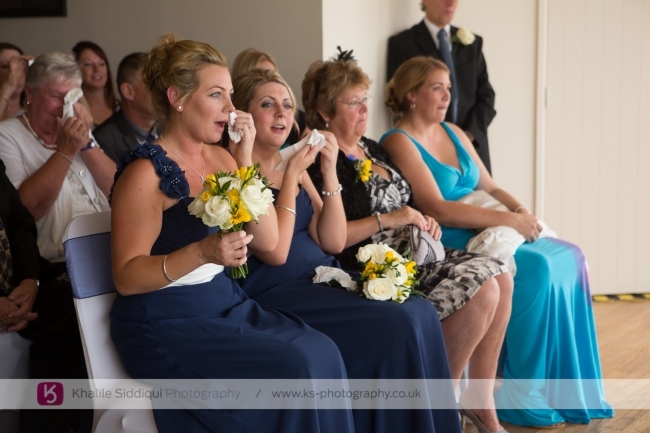 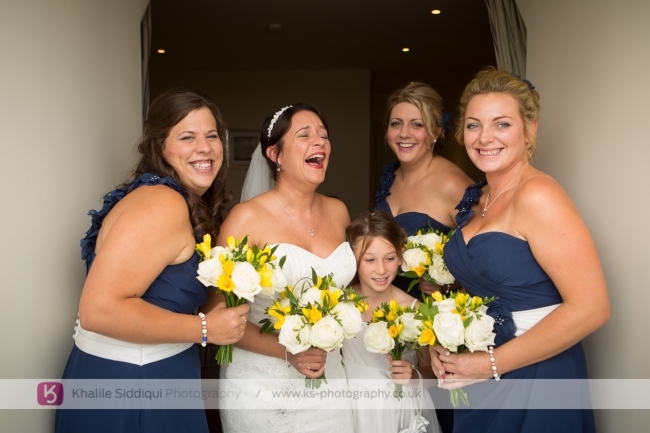 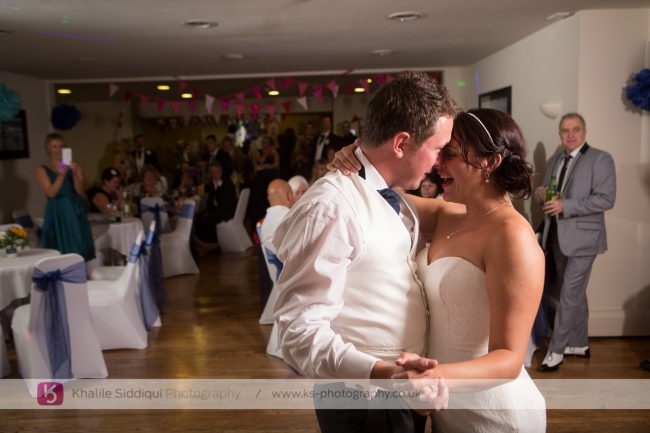 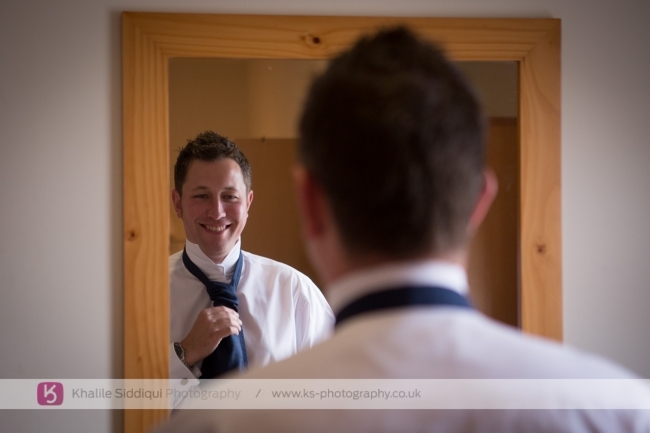 Katie & Sam had an emotional ceremony with large amounts of laughter and tears; it was a real joy to be a part of! 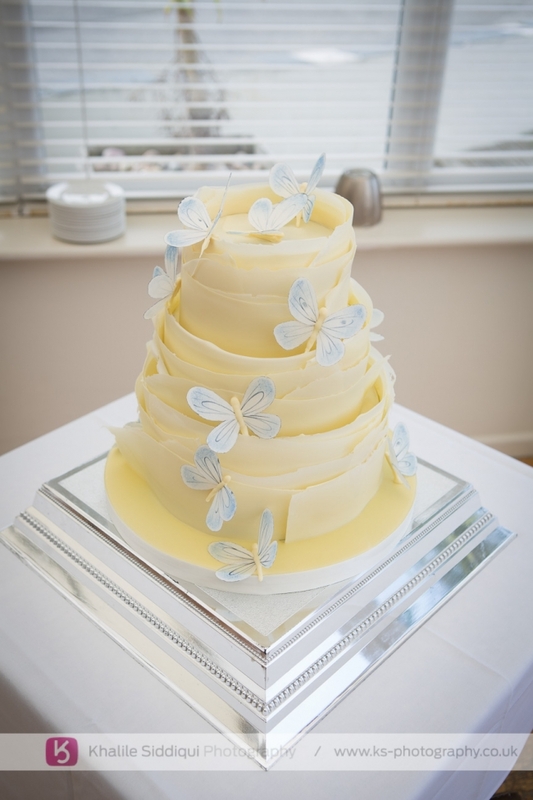 Katie and Sam sourced their absolutely mind blowingly tasty chocolate cake from the counties premier chocolateir 'Nicky Grant' who never fails to deliver a stunning cake. 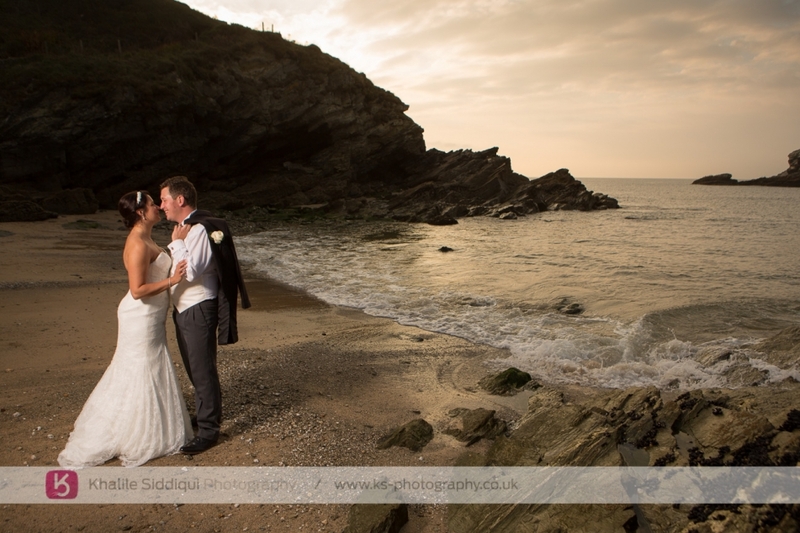 A wonderful afternoon turned into a beautiful evening, and anyone who's been to Glendorgal will know what a stunning view they have there, with Porth beach just below the hotel. 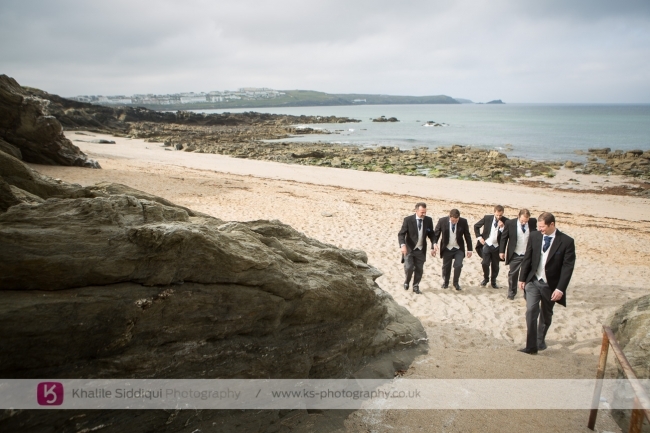 All throughout the wedding breakfast I was keeping an eye on the tide hoping that it would move out enough to be able to walk down the hotel's steps to the beach, and it did...just. 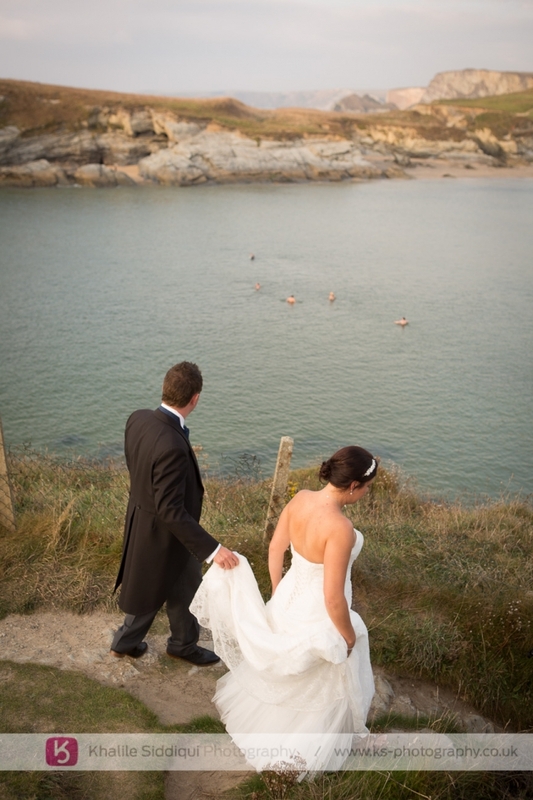 But I wasn't the only one to decide to head down there, as you will find out! 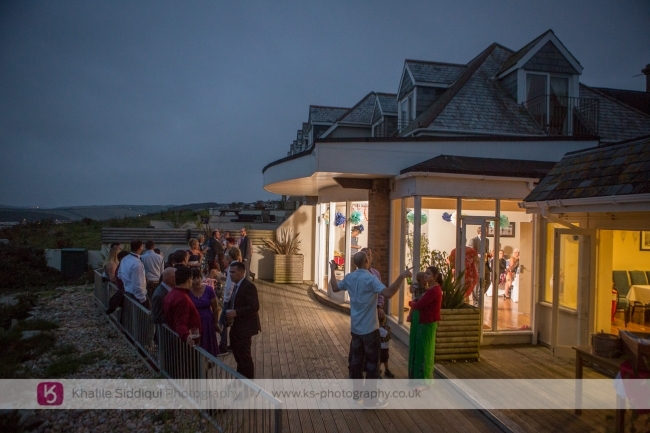 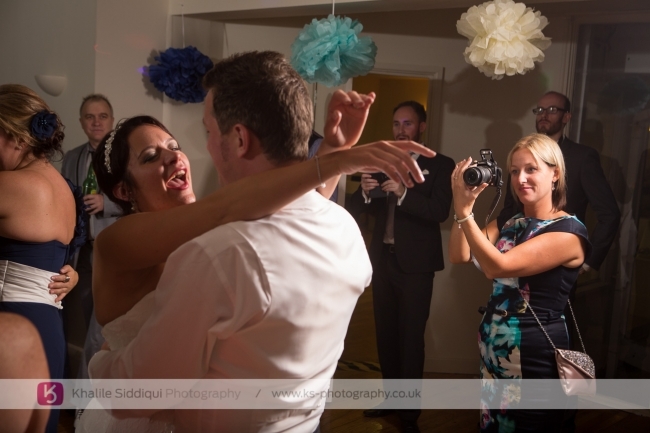 After whisking Katie and Sam down to the harbour for some photos in our Mercedes Sport, it was time to head back to the hotel to meet the evening guests, neck some shots, and start the evening off with the first dance. 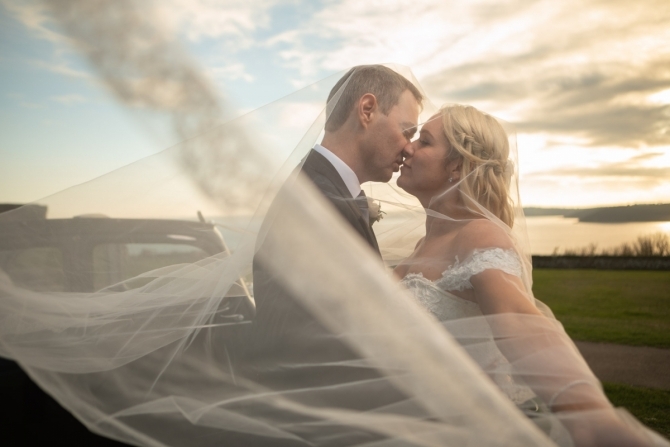 Dearest Katie and Sam, you truly are both a compassionate, loving and wonderful couple with much love in your hearts, and Tamsyn and I have loved getting to know you both and know this is the start of a long and happy friendship. 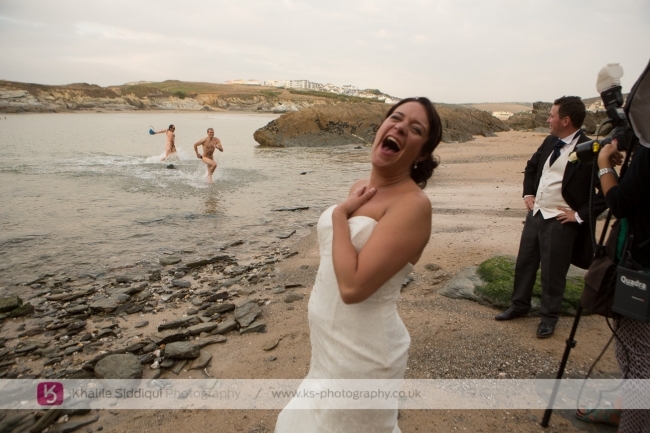 Take care and enjoy the honeymoon!